What is the most important information I should know about neomycin? You should not take this medicine if you are allergic to neomycin or similar antibiotics such as amikacin (Amikin), gentamicin (Garamycin), kanamycin (Kantrex), paromomycin (Humatin, Paromycin), streptomycin, or tobramycin (Nebcin, Tobi). You should not take neomycin if you have ulcerative colitis, Crohn's disease, a blockage in your intestines, or other inflammatory bowel disease. Do not use neomycin if you are pregnant. It could harm the unborn baby. Before you take neomycin, tell your doctor if you have kidney disease, myasthenia gravis, or Parkinson's disease. Never take neomycin in larger amounts than recommended, or for longer than 2 weeks. High doses or long-term use of neomycin can cause serious kidney problems, or hearing loss that may not be reversible. The longer you take neomycin, the more likely you are to develop these serious side effects. To be sure this medication is not causing harmful effects, your kidney function, and your nerve and muscle function will need to be tested often. You may also need hearing tests. Neomycin can have long lasting effects on your body. Do not miss any follow up visits to your doctor for blood or urine tests. Neomycin can harm your kidneys, and this effect is increased when you also use certain other medicines harmful to the kidneys. Before using neomycin, tell your doctor about all other medicines you use. Many other drugs (including some over-the-counter medicines) can be harmful to the kidneys. If you are being treated for hepatic coma, avoid eating foods that are high in protein. Follow your doctor's instructions about any other restrictions on food, beverages, or activity. Neomycin is an antibiotic that fights bacteria in the body. Neomycin is used to reduce the risk of infection during surgery of your intestines. Neomycin is also used to reduce the symptoms of hepatic coma. Neomycin may also be used for purposes not listed in this medication guide. What should I discuss with my healthcare provider before taking neomycin? FDA pregnancy category D. Do not use neomycin if you are pregnant. It could harm the unborn baby. Use effective birth control, and tell your doctor if you become pregnant during treatment. It is not known whether neomycin passes into breast milk or if it could harm a nursing baby. You should not breast-feed while you are using neomycin. How should I take neomycin? Never take neomycin in larger amounts than recommended, or for longer than 2 weeks. High doses or long-term use of neomycin can cause serious kidney problems, or hearing loss that may not be reversible. The longer you take neomycin, the more likely you are to develop these serious side effects. Follow the directions on your prescription label. Take this medicine for the full prescribed length of time. Your symptoms may improve before the infection is completely cleared. Skipping doses may also increase your risk of further infection that is resistant to antibiotics. Neomycin will not treat a viral infection such as the common cold or flu. If you are taking neomycin for hepatic coma, your treatment may also include a special diet. It is very important to follow the diet plan created for you by your doctor. You should become very familiar with the list of foods you should avoid to help control your condition. If you need surgery, tell the surgeon ahead of time that you are using neomycin. Neomycin can interact with certain medicines that may be given during surgery. What should I avoid while taking neomycin? What are the possible side effects of neomycin? severe stomach cramps, diarrhea that is watery or bloody. What other drugs will affect neomycin? 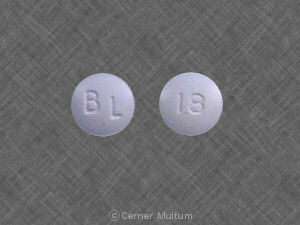 a diuretic (water pill) such as bumetanide (Bumex), ethacrynic acid (Edecrin), furosemide (Lasix), or torsemide (Demadex). This list is not complete and other drugs may interact with neomycin. Tell your doctor about all medications you use. This includes prescription, over-the-counter, vitamin, and herbal products. Do not start a new medication without telling your doctor. Your doctor or pharmacist can provide more information about neomycin. Copyright 1996-2017 Cerner Multum, Inc. Version: 2.01. Revision date: 2/15/2012.